A few weeks ago I finished an article for Swedish magazine Fly & tie about cadis patterns that uses Deer hair. Ther are a few classic ones of course but I also wanted to add some patterns that are not as usual, at least not in Scandinavia. One is the Sedge hog style of fl where you tie in several bunches of deer hair that combined with look like a wing. This is style of fly that is very common on the brittish isles but not very common over here. A few years back I experimented with a simple variant which consists of some CDC in a dubbing loop before, between and after the Deer hair bunches. Looks great on the water and adds more movement in it. 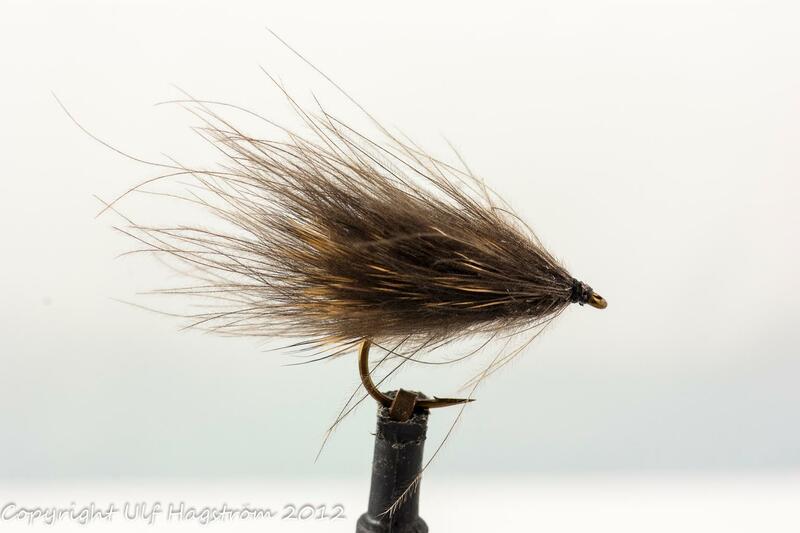 This entry was posted on Monday, October 29th, 2012 at 08:30	and posted in fly tying. You can follow any responses to this entry through the RSS 2.0 feed. Great pattern! 100% a real good fishing fly!